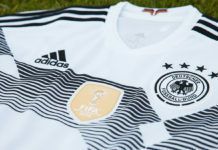 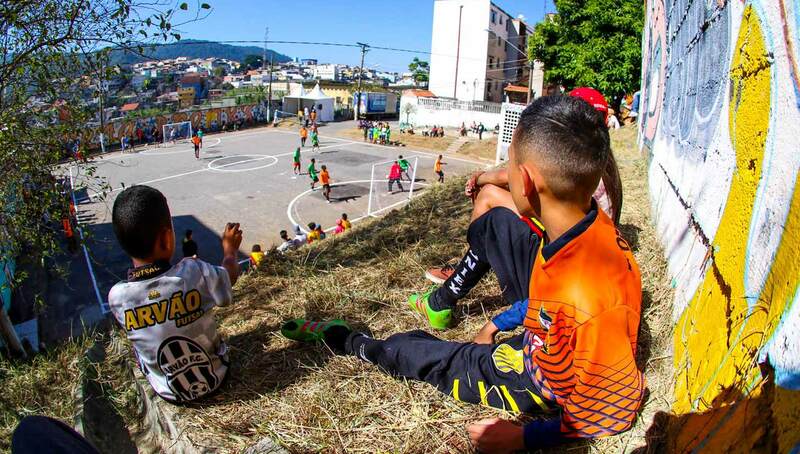 Players dream of competing on the world’s grandest stages in front of cheering, adoring fans. 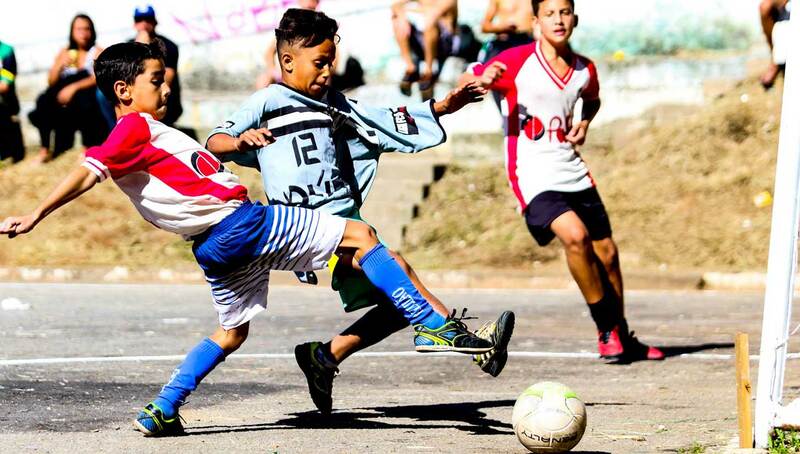 While growing up, they most often get their first thrill of competition in much more humble circumstances — in the form of small, local tournaments. 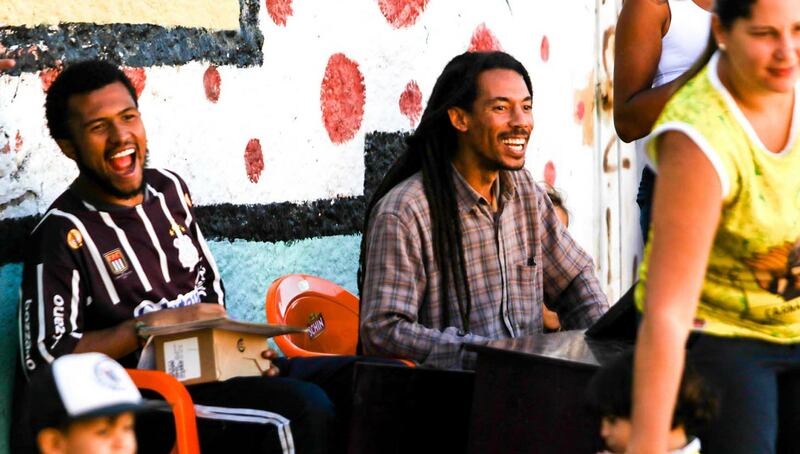 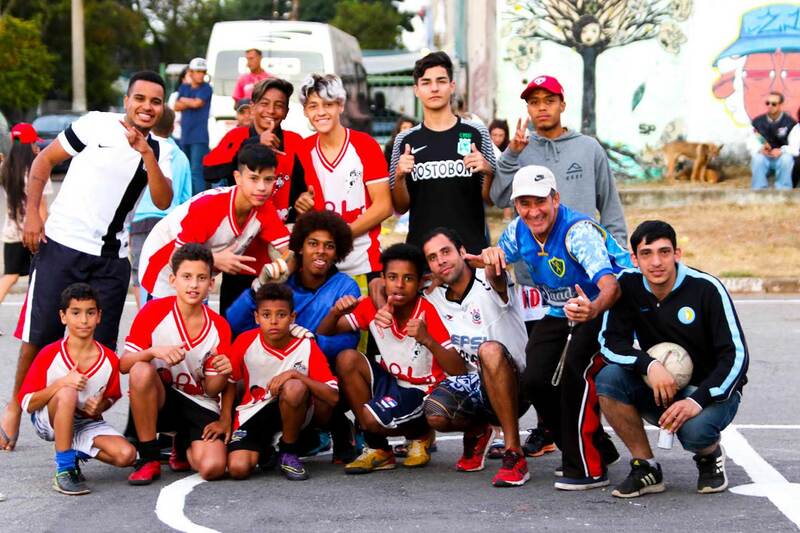 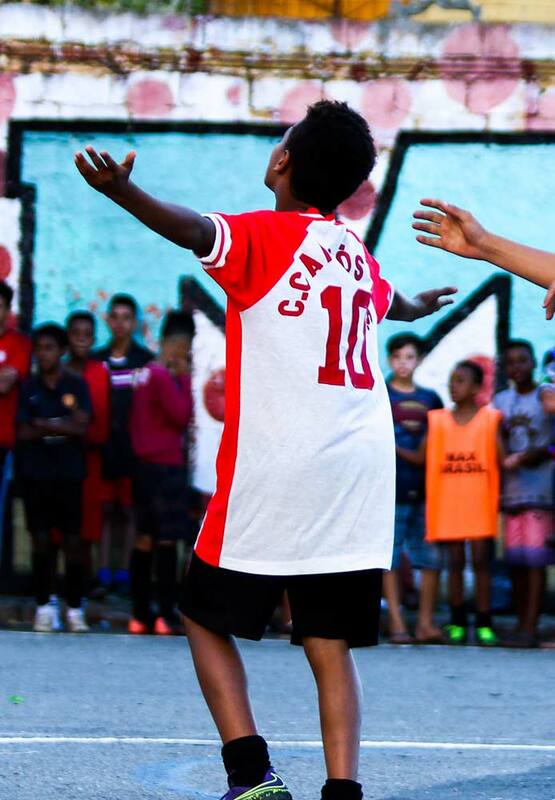 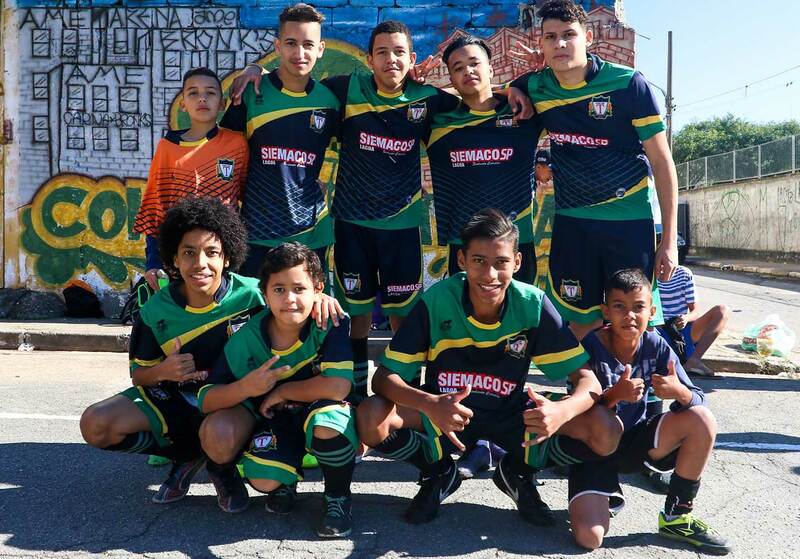 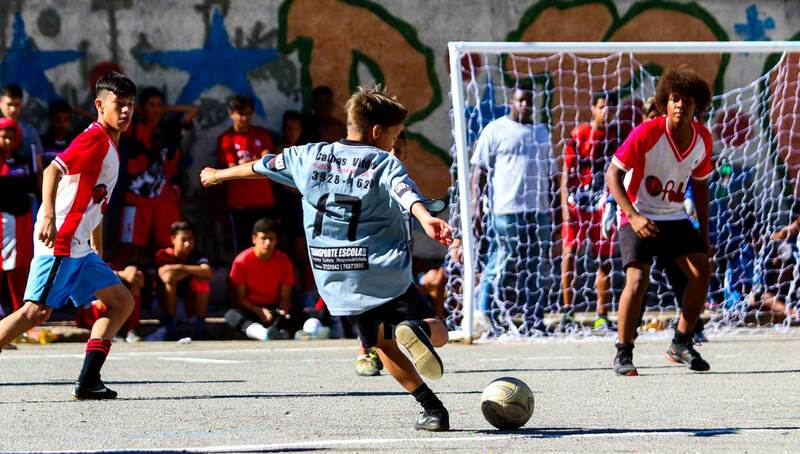 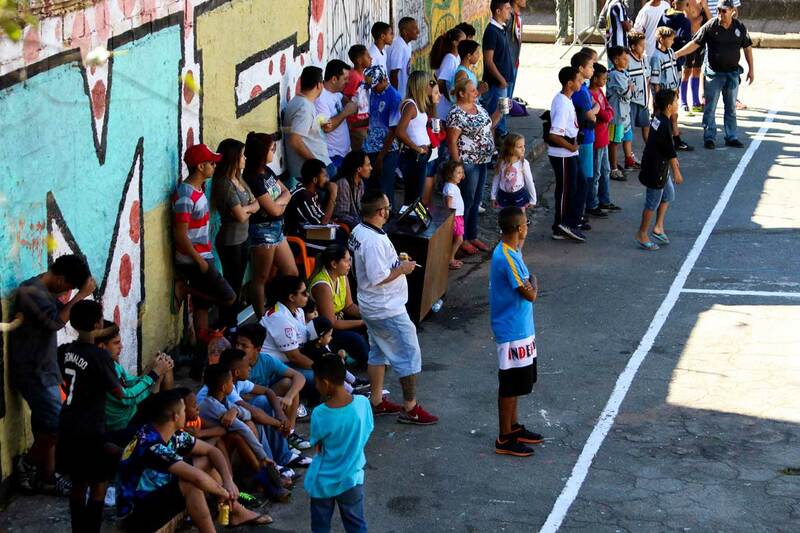 In the Brazilian district of Cohab de Taipas, located on the outskirts of São Paulo, we see that the all-important neighborhood tournament remains alive and well. 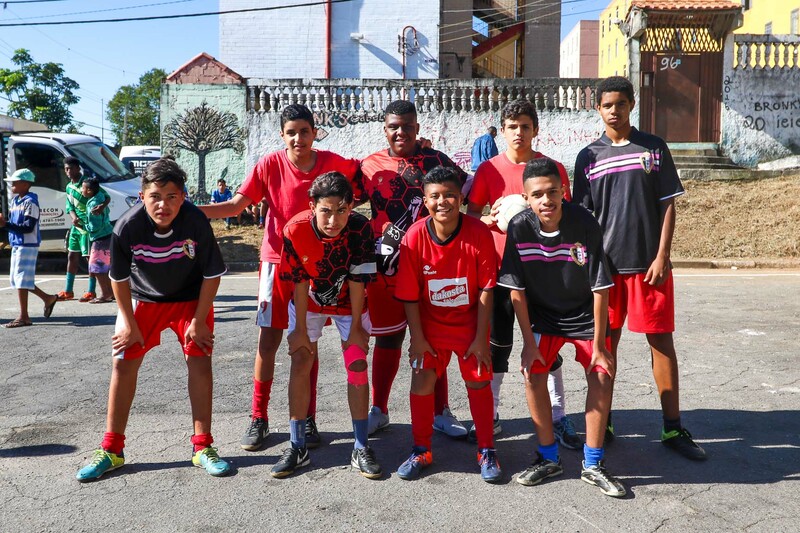 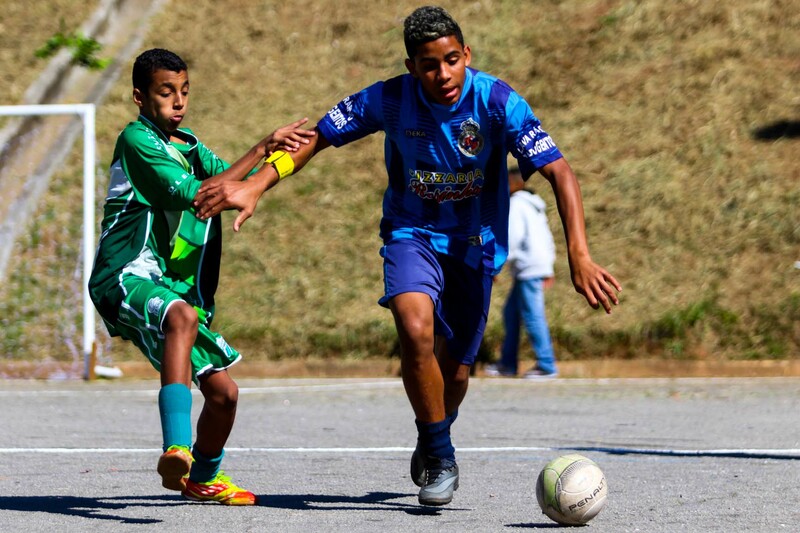 The Tubaína Cup is an annual street football tournament for children between the ages of 10 and 15 and organized by a group called Collective AME (Arte, Música, Esporte). 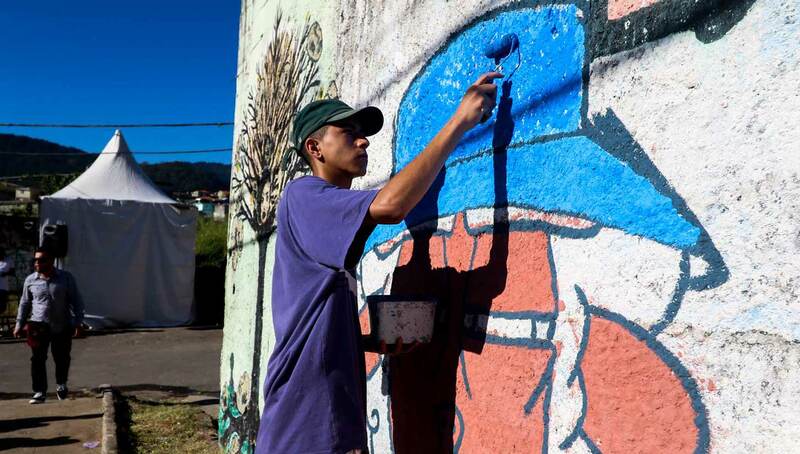 Tubaína is the name of a popular, regional soda made with guarana and tutti-fruiti flavors. 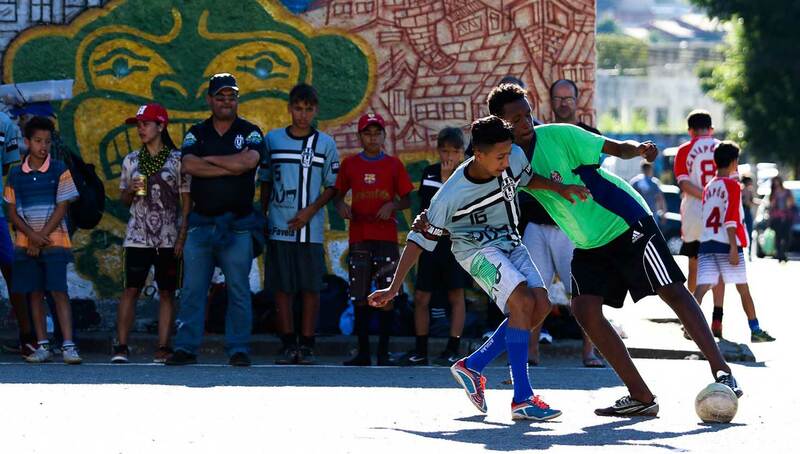 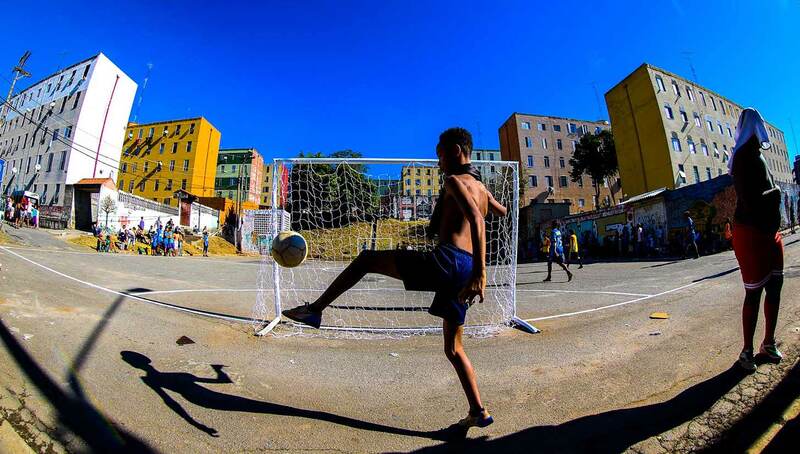 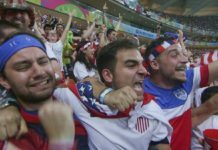 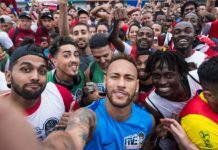 The tournament is an homage that harkens back to childhood memories of when kids from neighboring blocks would challenge each other to street football matches. 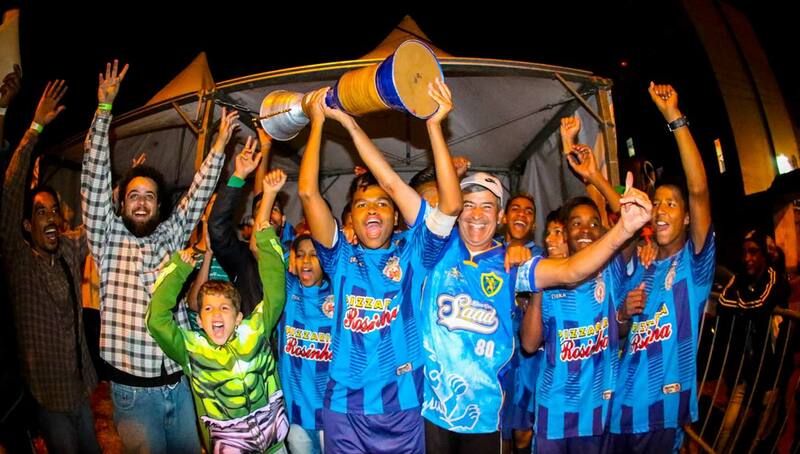 The prize for the winning team would be tubaína soda — a cheap and affordable wager for the young glory seekers. 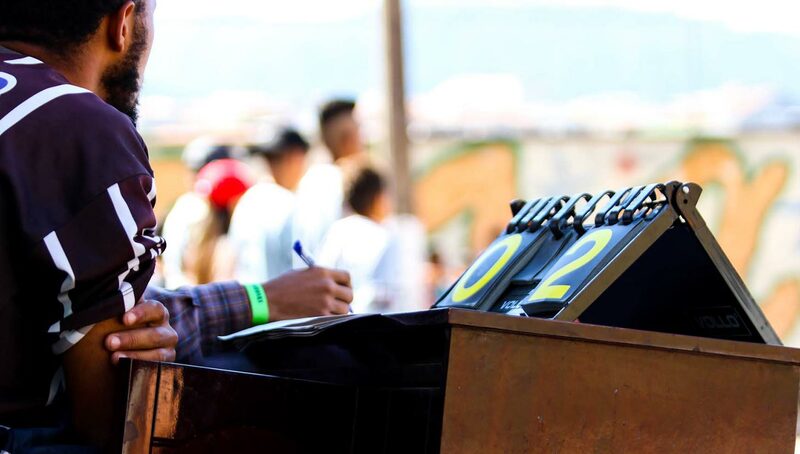 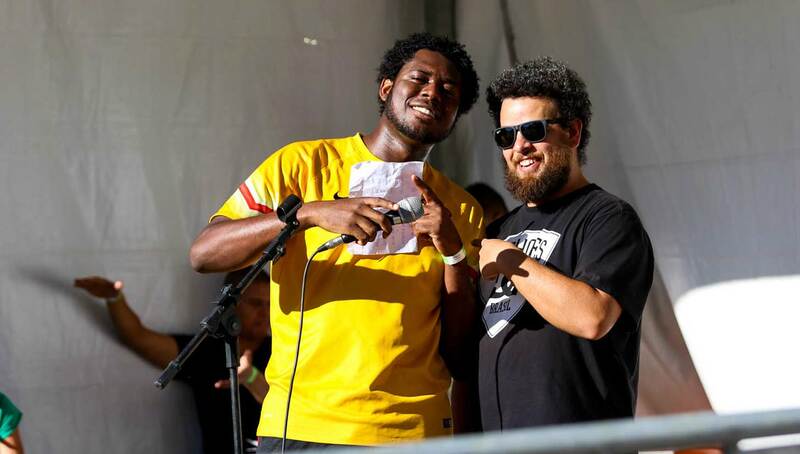 This year was the fifth edition and included graffiti artwork during the tournament as well as a music show afterwards. 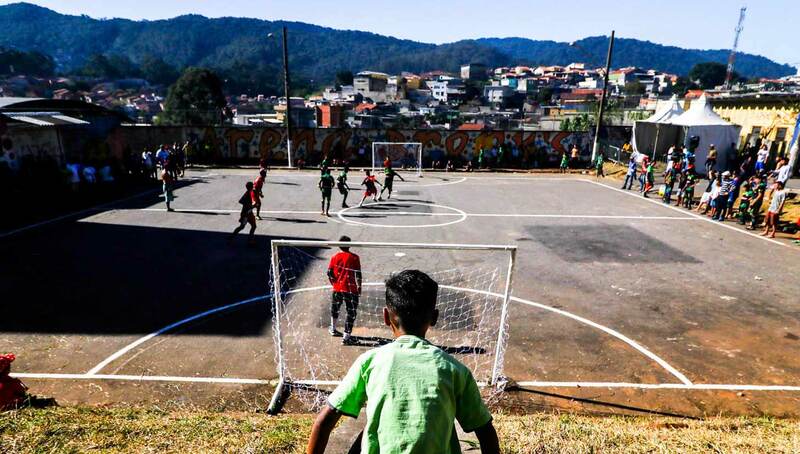 Featuring mostly players who reside in the neighborhood, it serves as local area bragging rights. 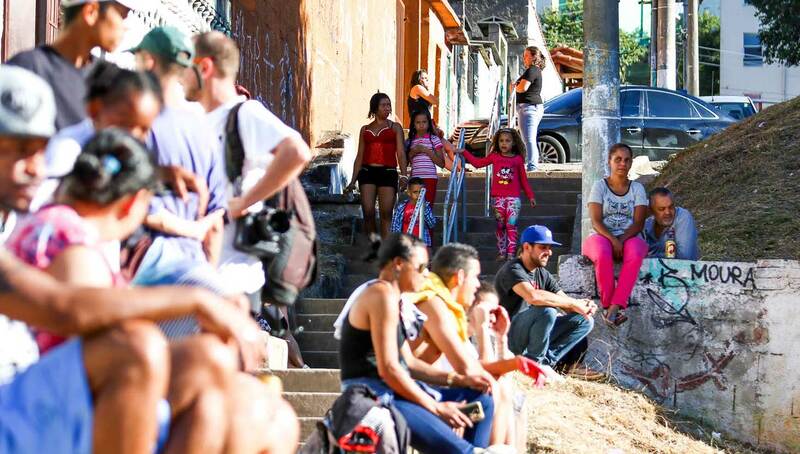 More importantly, the Tubaína Cup helps bring the community together in a celebration of generational pride and tradition.